A new chapter is upon us, bringing with it new opportunities, new challenges and—I can confidently predict—a new list of accomplishments for our organization and for the members who make us proud. I am thrilled to introduce our new website and the many new features our counselors, students, and colleagues now have access to in the Member Login section. We will continue to add new and exciting features throughout the year so please come back often to see what we have to offer. I look forward to yet another year of learning, serving our communities and, together, furthering the reach of counseling services and advocacy for our profession. You have chosen a line of work that promises to play an increasingly vital role in our global society. With each day that passes, the need for professionals who can provide strength and healing for individuals, families, and communities becomes ever clearer. In SDCA, we take our responsibility for serving the profession - as a whole - seriously. We understand the need to have one collective voice to speak out to legislatures, other professionals, and to the public in order to receive the resources we need to improve individual lives and communities. To that end, we remain committed to introducing new advances in standards of care, expanding and improving the initiatives already in existence, and engaging with new partnerships to enhance the overall services we provide. Please don’t hesitate to share your feedback, questions, or concerns with us by emailing [email protected]. 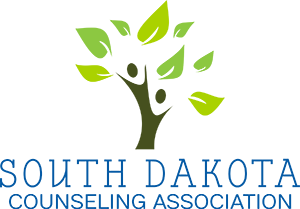 Let’s also connect on Twitter @SD_counseling and Facebook @SDCounseling.